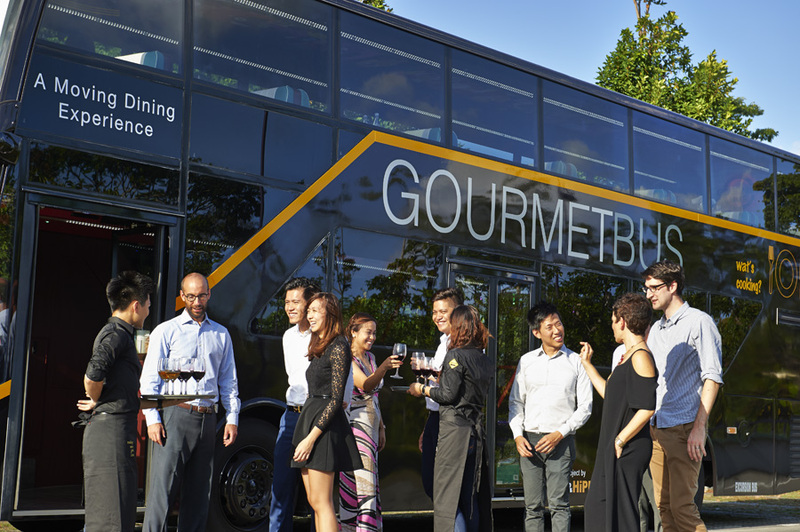 Turn any occasion into an extraordinary moving event with Singapore GOURMETbus. It's your big day! Want to escape the usual celebratory trappings and keep a short guest list? Singapore GOURMETbus is the perfect venue choice - particularly for a free-spirit who would love to revisit a few special places with close ones in tow. Share the spot where he/she got down on one knee or where both of you first met. Be prepared to get whisked off in a uniquely romantic space that's conducive for anything from moving speeches to dining adventures. Bidding goodbye to singlehood? 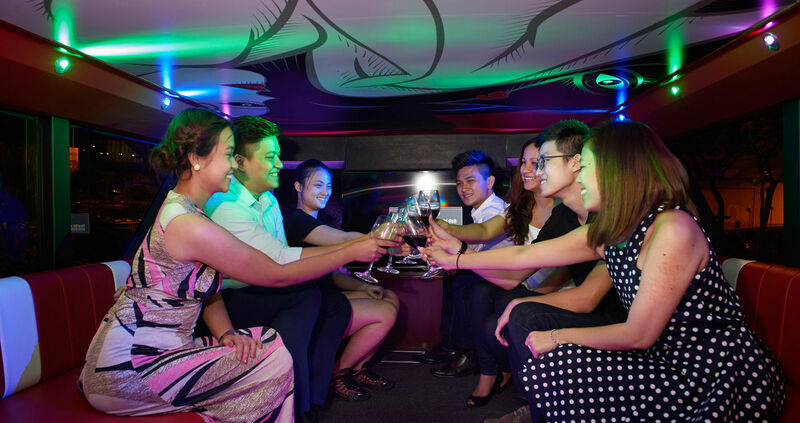 Hire the Singapore GOURMETbus for a knock-your-socks-off kinda awesome Bachelor/Bachelorette's Night celebration! Take the star on board a party bus – with a mobile bar and comfy lounge to complete the decadent, almost-red carpet experience. Want to pop over to the beach, the gardens, go bar-hopping, or simply karaoke the night away? Consider it done. What's more, we are more than happy to put on your favourite music or bring in an entertainer. You're never too young or old for customised tours held by a group of friends or an events company. 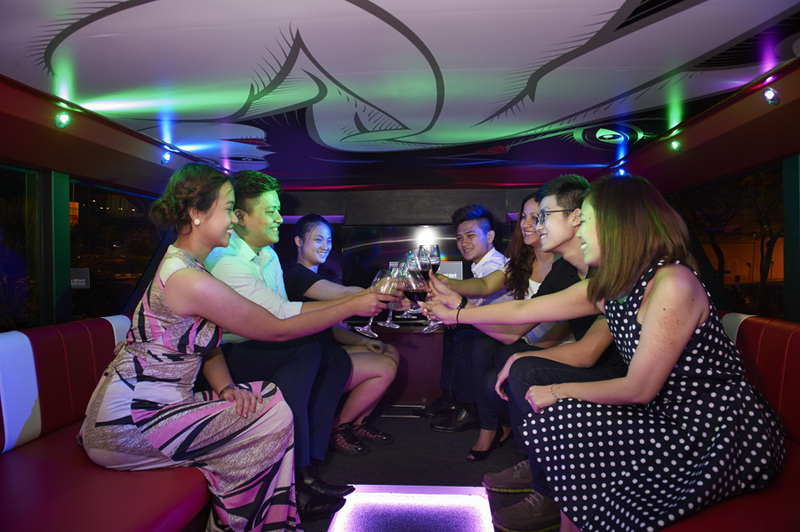 Just for the night, the Singapore GOURMETbus can be transformed into the coolest combination of a joy ride, a VIP transfer from club to club and the swankiest (after) party venue! Surprise your loved ones with a private birthday party! Think awesome food and crazy moments happening over the video or PA system. Live performances, song dedications and themed photo booth fun, anyone? Fancy the hot-shot style of movement? The Singapore GOURMETbus is beyond ideal if you are a superstar on holiday and would relish the idea of room to luxuriate in, away from the public eye. Look no further, we have the space for you. This is the best option for any kind of private touring or transfer arrangements – amid a fun, relaxing environment. Whether it is Christmas, Lunar New Year, Mid-Autumn Festival, or Deepavali...., it is reason for family, friends or even community club members to make merry and grab a bite while taking in the picturesque sights. You may even hop off to check out the festive hot-spots and have the Singapore GOURMETbus returning with coffee/tea to pick you up when you are ready to move on. If you would like to find out more about any of our Private Charters, email us as , or call us on +65 6338-6877.